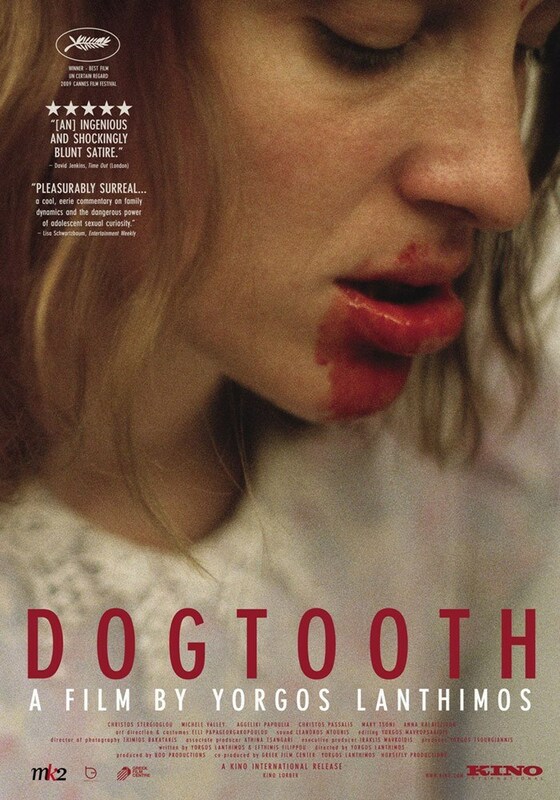 Dogtooth is a 2009 Greek film directed by Yorgos Lanthimos about a husband and wife who keep their children ignorant of the world outside their property well into adulthood. The drama stars Christos Stergioglou, Michelle Valley, Angeliki Papoulia, Mary Tsoni, and Christos Passalis. Lanthimos' second feature film won the Prix Un Certain Regard at the 2009 Cannes Film Festival and was nominated for Best Foreign Language Film at the 83rd Academy Awards.